Hundreds of cruise-vessels visit the famous Norwegian fjords every summer, causing air pollution in the area. Emissions could be considerably reduced if some of the cruise vessels could stop closer to the coastline and use zero emission vessels to show tourists some of the UNESCO world heritage areas. Brødrene Aa built the world’s first civilian passenger boat in carbon fibre back in 2001. 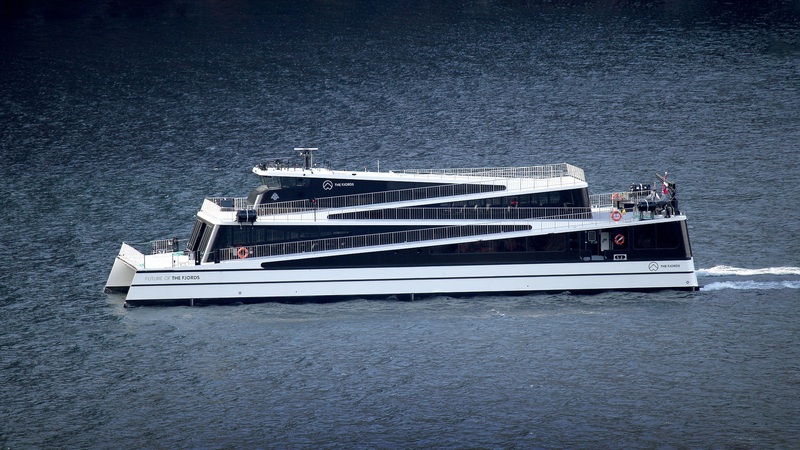 Now they have taken this a step further by constructing an all-electric passenger vessel called Future of the Fjords. They combined a low weight carbon fibre structure with the lightest lithium battery technology, and an effective propulsion line with controllable pitch propellers, to deliver a zero emission vessel. The vessel also has a unique universal design, giving tourists a special experience of the scenery in the Norwegian Fjords. The project is part of the Norwegian Research Council’s PILOT-E programme, which is focused on emission-free maritime transport. PILOT-E is a collaboration between different Norwegian support systems to fast-track through the stages of research from idea to market. It was inspired by the American programmes designed to address specific challenges, such as Advanced Research Projects Agency and Defense Advanced Research Projects Agency. To increase the range of this type of weight sensitive vessel, the battery technology needs to be improved, and a higher energy density is also needed. It is also important to source a lower price battery. When Future of the Fjords can operate at 16 knots, with 400 passengers for 2.5 hours, it will be a real eye-opener in the market for zero emission vessels. Brødrene Aa has already received many enquiries from all over the world about the boat.